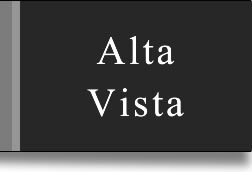 The Official Website of Alta Vista Property Owners Association, Inc.
Alta Vista is a neighborhood of 295 estate properties in the Catalina Foothills just north of Tucson, Arizona. With over 170 acres of pristine desert common area, and views of Ventana Canyon and the entire Tucson Valley, Alta Vista is one of Tucson's premier neighborhoods. Open to all owners, refreshments provided. Landscaping, driveways, gates, and any permanent change to a property's exterior. The Association has reformed its procedures to make it as easy as possible for owners to receive needed approvals. Please use the Approval Forms link to the left for instructions and forms. The Alta Vista Board appreciates your participation. Pay your annual assessment by credit or debit card, and update your mailing address, phone number or email. Click on the link below to go to Pinehurst's Caliber website where you may register and log in. For assistance, please contact Pinehurst at (520) 298-2146. Please note your email must be recorded with Pinehurst Properties to enable this function. Log on by clicking here. Join a committee or nominate yourself for the Board of Directors. Just contact Carol Keyser at propertymanager@altavistapoa.org, or call (520) 298-2146. Find a list of volunteer opportunities at the Board & Committees link to the left. Or, come to Association Meetings to give your opinions and ideas -- we need your involvement.